Summer, camping and S’mores all go hand in hand. Unfortunately, I always seem to crave S’mores when a fire is not a possibility. 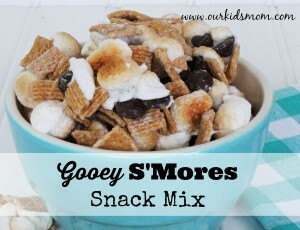 This S’mores snack mix is easy to make and easy to transport making it the perfect anytime summer snack! Spread marshmallows on prepared sheet. 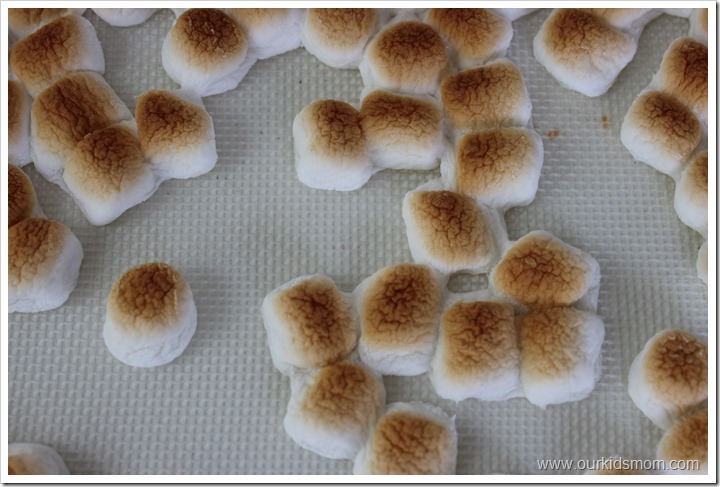 Place under broiler just until marshmallows begin to brown. Remove silicone mat or parchment paper immediately from pan and place in freezer for 10-15 minutes. Combine marshmallows, chocolate and cereal in bowl 1 handful at a time to mix well. Thanks for this recipe! My grandsons are going to go crazy over this delicious snack!! sounds too yummy — I would eat too much! Yum. This looks like something I’d love to make while camping in the back yard. 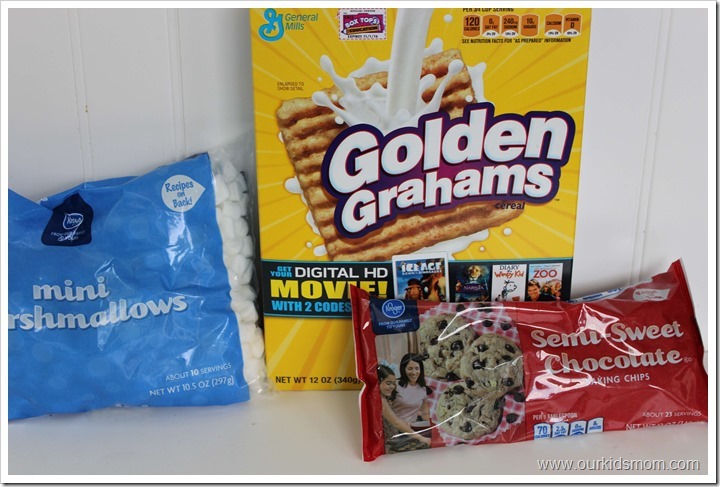 I like Golden Grahams cereal and never thought about using it in a Smores recipe. This is an easy and delicious recipe to make and take while camping. Thanks for sharing. These look so delicious and would make a perfect summer snack! Golden Grahams are perfect for this, great mix to make for a party. My kids love there smores. these would be great when watching movies. it looks great and i bet it even tastes better. this is my favorite summer time treat. Danger. Danger. This would be dangerous for my waist line. But YUMMY! 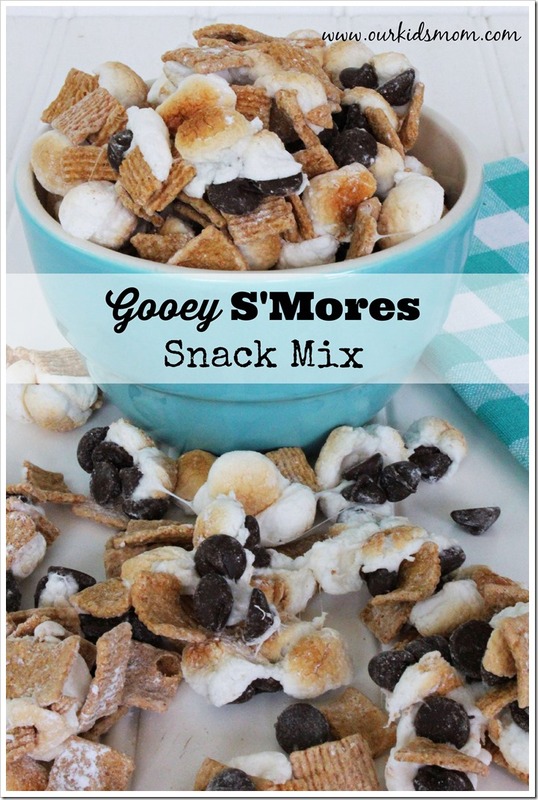 Great idea to use Golden Grahams in a s’mores recipe! This snack mix looks like it packs a great flavor punch without a lot of work–right up my alley. Thanks! oh my this looks ooey gooey delicious! I will have to make this recipe. Great recipe!!! Looks Delicious and fun and easy to make with my kids! What a wonderful recipe. I will try this out on the grandkids when they arrive next week. What a great way to make s’mores without the campfire. Looks delicious! I love this recipe. We can transport them and eat at anytime without needing a flame. Going to have to try this out!!! Looks delicious! This recipe sure does sound Gooey and messy and Yummy!! My Grandkids would love it! I am contemplating not broiling the marshmallows nah on second thought its the gooey that makes the Taste! Thankyou for sharing this recipe! Have a great Day! This recipe sounds gooey, messy and delicious. And it s=is so easy to make. We love making smores. I never thought of making a snack mix. This is a great idea. Remember the smores cereal they used to make? This reminds me of it. Looks good! This looks great. I’m not much of a sweet fan but my husband will love this. Looks easy and quick to make up for him but he will eat it all in one sitting so I have to “accidentally” run out of the ingredients lol.